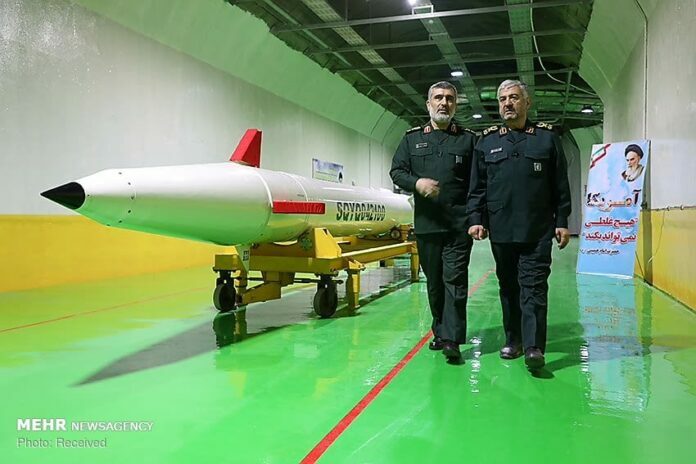 The Islamic Revolution Guard Corps (IRGC) unveiled an underground ballistic missile factory and also a new ground-to-ground ballistic missile on Thursday, in a show of strength amid heightened western pressure to limit Iran’s missile power. Speaking in the ceremony, IRGC Chief Major General Mohammad Ali Jafari said the unveiling meant to convey a message. “Unveiling this missile production city deep in the earth is a response to rants and raves of westerners who believe they can limit us with sanctions and threats and stop us from [pursuing] big goals,” he said. The IRGC chief stressed Iran’s missile power is non-negotiable. “Iran’s defence power is deterrent and for protecting national security and it is not swappable or negotiable,” he said. Speaking in the ceremony, the IRGC chief said all of Iran’s ballistic missiles are pinpoint accurate, and missile experts are now focusing on making missiles lighter, quicker to produce and easier for mass production. 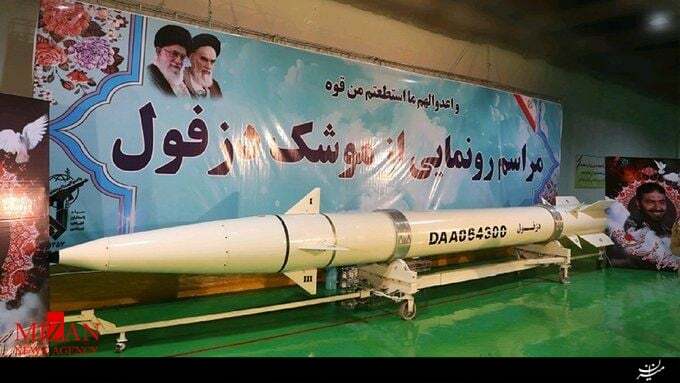 The head of IRGC’s Aerospace Division Brigadier General Amir Ali Hajizadeh said in the ceremony that the new missile, called Dezful, is an improved version of the Zolfaghar missile that has a range of 700 kilometres. The new missile has a 1,000-km range, and its explosive power has been doubled, he said. “The explosive forces of this missile have been doubled [comparing to] Zolfaqar, due to the materials used in its warhead,” he said. In recent months, the EU has stepped up criticism of Iran’s missile program, requesting talks on limiting it. Iran has mainly ignored such requests.